World Deaf Day is celebrated every year in last week (last Sunday of the month of September) of the September to draw the attention of general public, politician and development authorities towards the achievements of the deaf people as well as deaf people community. Throughout the celebration of the event, all the deaf people organization worldwide are encouraged greatly to fulfill the demands and needs of the deaf people as well as increasing their rights all over the world. A person named, Granville Richard Seymour Redmond (born in Philadelphia, Pennsylvania, USA in the year 1871) got deafness because of the scarlet fever in his early childhood. He was supported by his family to a lot and given higher education in a special school. He was the owner of the natural artistic talents which was getting spread all over the world. He also learned the painting, drawing and pantomime from the famous California School of Design in San Francisco. He was very talented as same as a normal person. Because of this reason, the World Deaf Day is commemorated all over the world for the deaf and by the deaf for their healthier conditions, better life, self-esteem, nationality, schooling and work. People must participate in celebrating the World Deaf Day not only as Deaf Day but to expand the way of growth and development through the new technologies as well as to offer deaf people wide variety of opportunities to change their lifestyle. 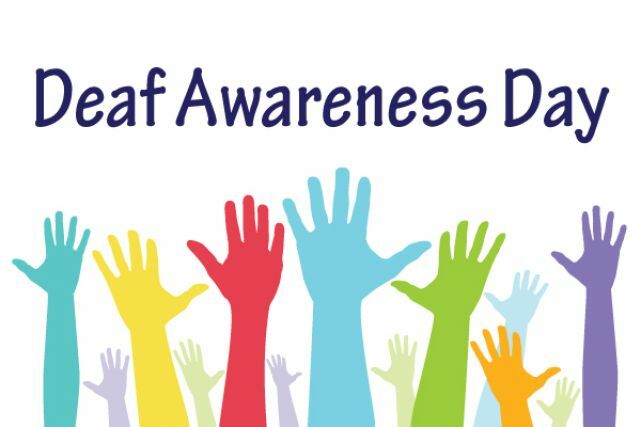 It is celebrated with the rallies, seminar and various deaf awareness campaigns including some fun events. International Week of the Deaf is commemorated through various activities (marches, debates, campaigns, exhibitions and meetings), and call for the participation and involvement of stakeholders (families, peers, governmental bodies, professional sign language interpreters, Disabled People’s Organisations). Various social organizations of the Varanasi city is working for the deaf people rights as well as aware the common people about noise pollution hazards through the several programmes and rallies which begins from the Luxa police station, passing through the Gurubagh, Rathyatra, Sigra and ends at the Shahid Udyan of the city. International Week of the Deaf is the only week in a year that sees highly concerted global advocacy to raise awareness about the deaf community at individual, community and governmental level. It is about gathering together, becoming united, and showing that unity to the rest of the world. International Week of the Deaf strives to promote the rights of deaf people and highlight specific human rights topics that merit attention. International Week of the Deaf is aimed to spread message as widely as possible by ensuring that the campaign(s) will be noticed and the message will also pass to wider society through sufficient media coverage. The WFD claims to represent 70 million deaf people worldwide, of which more than 80 percent live in developing countries. This is done mainly through membership of national deaf organisations, where such organisations exist. As of February 2009, 130 national associations are members. Associate members, international members and individual members also make up WFD’s membership base. To promote understanding among common people about the problems of deaf people in the community all over the world. To motivate deaf people to learn sign language as an essential human right.